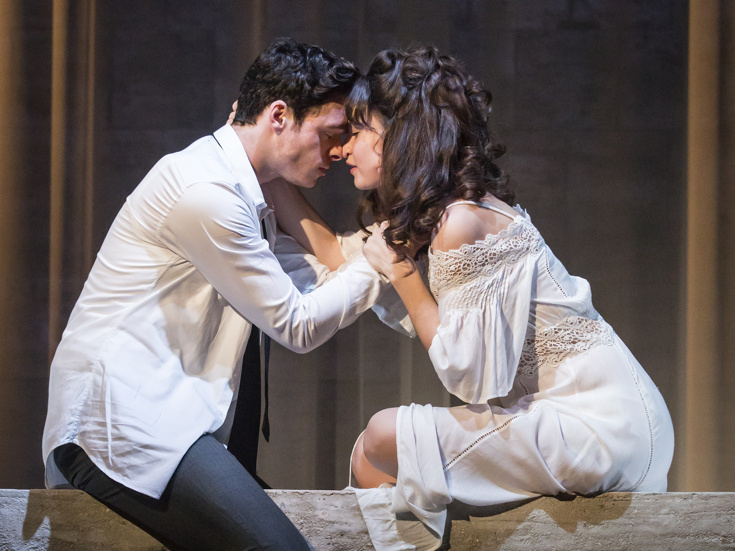 Annoyed that you can't get to the West End to see Cinderella film stars Richard Madden, Lily James and Derek Jacobi in Romeo and Juliet? Never fear, Kenneth Branagh and Rob Ashford’s interpretation of the Bard's classic, set in 1950s Italy, will broadcast to more than 1,200 movie theaters worldwide live from the Garrick Theatre on July 7. “I really think it's so exciting to see Shakespeare on film and to watch plays displaced from their original setting into a new medium,” said James in a statement. “I can't wait!” The production is scheduled to play through August 13. Another stage and screen favorite is making it easy for you to watch his show if you can't get to London. Jeremy Jordan's cabaret on June 30 at the Hippodrome Theatre will stream live around the world. Smashing news indeed. Some Broadway real estate news that you should be aware of. According to Variety, work will start this summer on moving the back wall of the St. James Theatre into the alley behind it; Something Rotten! is currently playing in the venue and is set to carry on performances during the renovation. No official confirmation yet on the New York Post’s report that this will eventually be the home of the Broadway-bound Frozen. Meanwhile, Second Stage is going to be busy revamping the Helen Hayes (which the The Humans is moving from) next door. Broadway alum Noah Robbins (Arcadia), who played Eugene on Grease: Live, has been tapped for TV Land’s Younger. According to TV Line, Robbins is set to take on the role of Bryce Reiger, a Silicon Valley genius, for four episodes in the comedy’s upcoming season. The third series, headlined by two-time Tony winner Sutton Foster, is scheduled to premiere on September 28. P.S. War Paint, starring Patti LuPone and Christine Ebersole as cosmetics titans Helena Rubinstein and Elizabeth Arden, respectively, is a hit. A second and final extension of the new musical has been announced at Chicago's Goodman Theatre; the production will now run an extra eight performances through August 21.